The more we know about the catastrophic implications of climate change, the more fossil fuels we burn. How did we end up in this mess and where do we go from here? Below is a review written by sociologist Daniel Aldana Cohen of Andreas Malm's latest book, Fossil Capital: The Rise of Steam Power and the Roots of Global Warming. Andreas Malm’s wonderful book, Fossil Capital: The Rise of Steam Power and the Roots of Global Warming, is about power. Since I’m a scholar who researches urban climate politics, I’m especially excited that Malm’s analysis of power is so centered on urban politics. I’ll explain what I mean by that, then suggest some interesting lessons from Malm’s account that his arguments around contemporary climate politics have underplayed. The short version of his argument is a pun that goes like this: the power that fossil fuels provided to capitalists was the social power they required to aggregate and subordinate workers. This is why coal-powered steam engines beat out water wheels in early 19th century Britain as the energy source for the first great factories of industrial capitalism. Marx says capital is a social relation; Malm amends this and claims fossil capital is a social relation that hinges on the relationship between bosses and workers. Here is how this is an urban story. A crucial moment in Malm’s argument is his account of how steam power becomes the capitalists’ preferred power source despite the fact that it is more expensive than waterpower, which is generated by water wheels placed along rivers. So why go for steam? Whereas with water wheels you have a totally decentralized geography, you can concentrate steam engines in cities, and you can concentrate workers in cities. Then, you can house them and feed them and so on more cheaply and effectively - an early version of the urban agglomeration story. Important to note here is that you get to lean on the state. Capitalists, Malm argues, aren’t always that great at organizing themselves cooperatively. It’s pretty handy to offload coordinating functions, including responsibility for infrastructures and services, to a government body. The other interesting aspect of this is that city-dwellers can be good at revolting (peasants too, but that’s another story). The key here is that in Lancashire, in Manchester, in the 19th century, production and consumption happened in the same place. 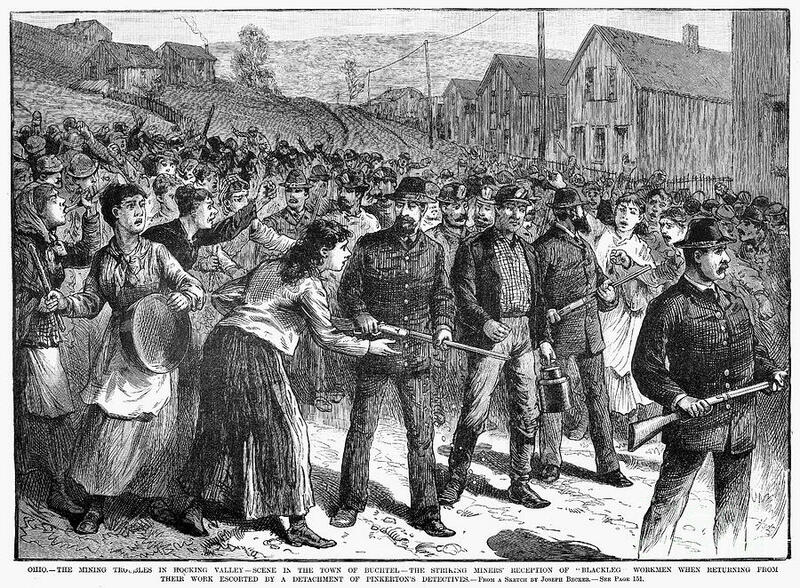 In 1842, when workers revolted against their bosses in a great general strike, demanding higher wages, they did so by literally pulling plugs out of steam engines that forced the factory to stop working. They did this because they wanted better lives and to have higher wages. Malm also tells us that they were disgusted by the pollution of their micro-environment, which destroyed their quality of life. Let’s pause here for a second. Economics boils down to consumption, production, and distribution. And in the modern world, the relationships between these are extremely complex. Not in Manchester in 1842. There was no conceptual mystery there around pulling the plug. 19th century workers in British towns, with a little coordination, could disrupt production, consumption, and distribution all at once. True, they didn’t bring down capitalism. But they did okay. They won some real concessions. And again, they did this because they had the social power to pull the plug, literally, on fossil power. Workers’ social power confronted capitalists’ fossil power directly. Flash forward to the present. Today, the relationship between urban consumption, including suburbs, and the sites of production (of objects, and of energy), is typically pretty indirect and geographically distant. This is especially the case in the urban regions of the North Atlantic. Take a look at San Francisco. If you attribute the carbon emissions of every good and service to their final consumer, then 80% of the emissions associated with San Francisco’s urban activities are actually emitted beyond that city’s limits. Malm knows all this. But the question remains: How do urban residents, today, pull the plug? I’ve started talking about consumption and this is dangerous territory. Malm is clear about this issue in the book. It wasn’t American or European workers who invested in Chinese factories, powered by inefficient coal plants. But we North Americans and Europeans do all participate in fossil capital. We, more or less, accept the system politically. And we buy the products that keep the machine going. In the excellent book True Wealth, Juliet Schor reports that since 1990, when average wages have barely budged, per-person expenditures on furniture have grown by 300 percent, on apparel by 80 percent, on vehicles and housing and food 15-20 percent. And by the way, the weight of furniture bought by Americans in that period increased by over 150%. Credit-fuelled consumption is the great consolation of American life. This isn’t the fault of sinful American workers. But nor is it the direct result of some 90 fossil fuel companies that have caused the lion’s share of carbon emissions in the past couple centuries. Fossil consumption, like fossil capital, is a social relation. And for the most part, fossil consumption, like fossil capital, is an urban phenomenon—suburbs included here. Overthrowing fossil capital means transforming how we live. It means prioritizing collective consumption over individual consumption. Transforming both the social and the infrastructural landscapes of our urban world. This isn’t just a politics of class. Take the United States. Its urban (including suburban) landscapes, with their privatized crypto-care economy, and their segregation and violence, are as structured and divided by race and gender as class. This complexity raises huge problems, as we all know, for building mass political movements. It also provides intriguing (and urgently needed) possibilities for novel formations, as the Black Lives Matter movement has shown. Back to Malm’s book. Fossil power, as he argues, a social relation. It’s not just a physical extraction process. The historical lesson that Malm emphasizes in the book is that, just like those English workers in 1842, activists today can directly confront extraction and burning of fossil fuels. There’s truth in this, and it exemplifies a key part of Malm’s argument, that it’s not all of humanity that’s responsible for climate change, but a miniscule number of fossil capitalists. But to confront fossil fuels directly today, like the plug-pulling workers of 1842 Britain, we have to leave cities. 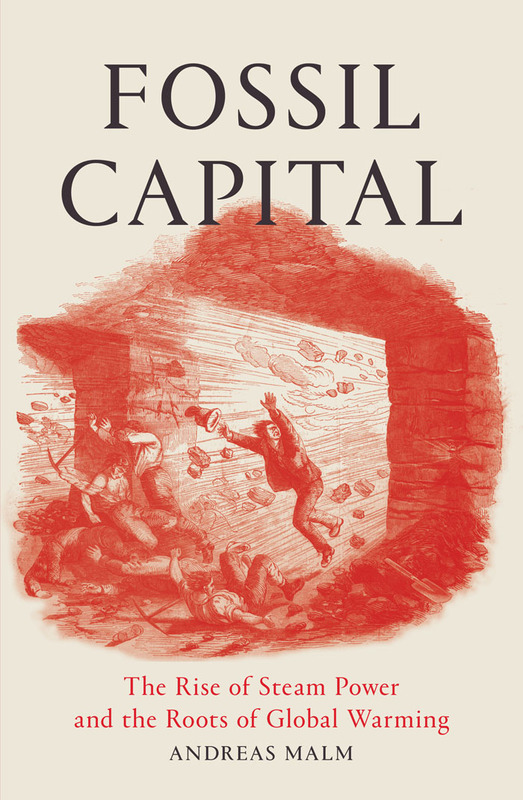 And in rushing out of urban space, I worry that we might too easily abandon the rich space of urban politics that Malm captures so beautifully in the first half of Fossil Capital. Recall that urban workers are demanding higher wages and that they hate the air pollution. They want to live well. They are protesting against fossil capital, but they are not only protesting about fossil capital. The wide and mutable range of demands that urban movements tend to have is important. That urge to live well can be captured by consumerism and the privatization of urban spaces that the United States in particular has kind of perfected. But there is—both history and the present teach us—another pathway for that desire. In my own work, based on research in New York and São Paulo, I argue that housing-oriented social movements are accidental low-carbon protagonists because the kind of city they’re trying to build—with dense, affordable housing, lots of public transit, quality schools and libraries and cultural centers, et cetera—is also a low-carbon city. That’s a big deal. About half the world’s CO2 emissions do come from urban areas. This democratic low-carbon city that these movements have been fighting for is a city whose pleasures come from shared experience, not private consumption. Indeed, in cities worldwide, urban social movements have spent two centuries trying to build the kind of cities that many affluent environmentalists romanticize when bored by their iPads or staring out an airplane window. Such environmentalists should get their act together and work on joining today’s housing-oriented movements and their union and community group allies in building a red-green coalition. There are some exciting precedents already. Housing movements in São Paulo, Oakland, and New York themselves now starting to argue the case for their relevance to the battle against climate change. Not just defending against gentrification and displacement. But also building a more democratic and lower-carbon city. It’s a promising start. But we need all hands on deck here; environmental groups have access to resources and knowledge that many housing movements, battling day by day for survival, don’t have the luxury to cultivate. Now I want to pivot from this example to a broader point. In the 19th century British manufacturing city, workplace politics and energy politics were one and the same. The workers acted on them both when they pulled the plug. Today, the tensions between everyday life, between our workplace, and the fossil fuel economy, are far more complex, and often much more indirect. Most urban workers don’t have their hands on the plug; and they’re not all going to travel to coal fields and pipelines to block them. For urban movements now to pull the plug we need to be a bit more sophisticated. Obviously, that’s hard. But there is also an opportunity here for the climate movement to grow by linking up with already existing struggles for racial and economic justice. Building on Malm's brilliant insights, and looking at fossil capital, space by space, sector by sector, how can we identify a whole series of allies who are already struggling for justice and against fossil capital in their own domain, even if they are not talking or thinking, right this minute, about climate change?